This item has been replaced by the T31488. Behlen Water Based Grain Filler has been designed to allow the professional or do-it-yourselfer to create a smooth, closed grain surface on open grain woods like oak, mahogany and cherry. Behlen Water Based Grain Filler applies easily, levels smoothly, dries quickly (usually in 2 to 3 hours) and sands to a finishing grit smoothness. 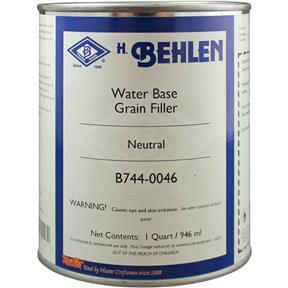 Behlen Water Base Grain Filler accepts any Behlen Water Base stain or finish. Allow overnight dry time if using solvent based stains and finishes. 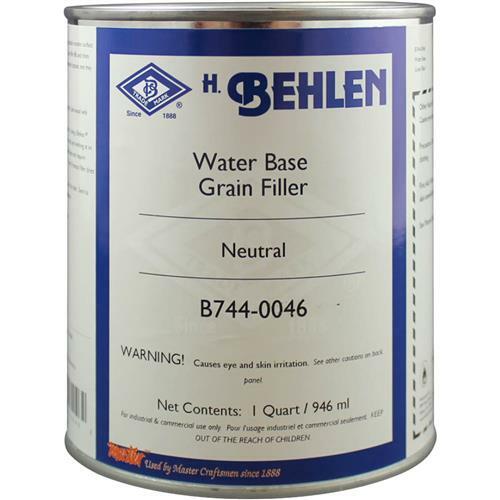 Behlen Water Base Grain Filler is environmentally friendly as it is low in volatile organic chemicals, nonflammable, and cleans up with warm water and detergents. Quart.